Van Morrison is a unique and often forgotten figure in the history of rock and roll. From the time of his first recordings with Them in 1964, the image and the reality was that of a fiery Irish temper, a violent refusal to adhere to the discipline and the directives of un­lucky A&R men, in a demand for freedom that was both personal and artistic. Van’s angry need for freedom was evident in the first years. The group began to break up almost immediately and continued to drop and add members with eerie regularity. Them’s first album, entitled The Angry Young Them in England, showed the musical side of Van’s attempt, in the midst of driving, powerful group efforts like “Baby Please Don’t Go” and the blazingly sexual “Gloria,” to walk his own road. He wrote most of the songs on the first record, and in two instances began to show his discomfort with the limits of traditional R&B. One, “Philosophy,” was a Jaggerish rap sung over a monotonous blues theme, just Van letting it out for no particular reason, a piece that forced the listener to focus on the words, which were singularly uninteresting. “Mystic Eyes,” though, was a triumph for both Van as an artist responsible to no one but himself, and for the band. Van wrote it after watching children frolicking among the tombstones of an ancient cemetery, and the vocal con­sisted in essence of Van chanting virtually demonic incantations over a mad tempo and the harsh chords of a biting guitar. Them and Van had made it, with hits on both sides of the Atlantic; but by the time of their second album, only one member apart from Van remained from the original crew. On Them Again (re­leased in early ’66), aided (supposedly) by the excellent lead guitar of Jimmy Page (formerly of the Yardbirds and now with Led Zeppelin), Van truly par­ticipated, musically, in one of the finest of all British rock and roll recordings. The band had added piano and organ, vibes, flute, and sax. The performance, within the limits of a normal song format, was expert, imaginative, and dramatic; perhaps this album might be described as what Traffic would have done had they been together at that time. It was a serious band, less exciting than the Stones and without their humor, but far more original than the Spencer Davis Group and flashier and tougher than the Yardbirds. The cuts on Them Again are the equal of those by all but the very best of today’s groups. There is “How Long Baby,” a searing vocal punctuated by a shimmering guitar solo, the definition, in good taste, of all that “psychedelic” music ever aspired to; “Don’t You Know,” a mixture of jazz flute and piano and R&B, extremely simple and elementary, yet very satisfying; and “Call My Name,” playing on a basic theme in rock and roll that reaches out to all of us, Van’s yearning softened by a soothing run by Page, a climactic and memorable cut. Van’s singing on this album seems to represent an attempt to communicate all he knows and all he feels, never letting down, never throwing away a line, not coming on like The Grand Preacher of Love and Sorrow, just excitement and emotion in a brash yet committed manner. It was a signpost in Van’s growing maturity as a singer, but not proof of the freedom for which he was searching; without such a superb band backing him up, this album would not be extraordinary. Only on Dylan’s “It’s All Over Now, Baby Blue” does Van truly shatter all the limits on his special powers. The band composes itself out of a very hard, dom­inant bass, working over crucial notes instead of patterns; an acoustic guitar; organ; drums; and electric vibes, as a high-pitched, painful lead instrument. Each note stands out as a special creation—“the centuries of emotion that go into a musician’s choice from one note to the next” is a phrase that describes the startling depth of this recording. Played very fast, Van’s voice virtually fighting for control over the band, “Baby Blue” emerges as music that is both dramatic and terrifying. The only song I know that is comparable in both conception and performance is the Buffalo Springfield’s “Out of My Mind,” another cut made for the loneliness of a dark night. Them’s best music signaled the end of their commercial success. One last tour of America, and they split for good in 1966. Van shifted to New York, under the wing of the late Bert Berns (who wrote Them’s “Here Comes the Night” and co-authored Irma Franklin’s “Piece of My Heart”). 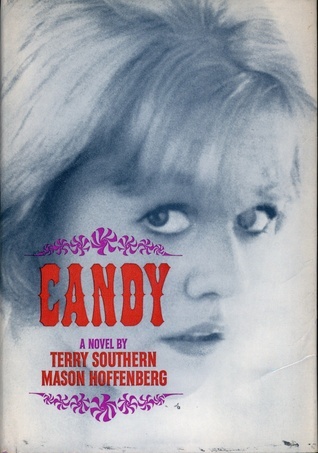 Van’s new home was to be Bang Records, once the source of the Strangeloves’ “I Want Candy,” Terry Southern’s contribution to rock and roll. Berns and Van put together a soulful and bouncy Top-40 hit, “Brown Eyed Girl,” and if the song didn’t quite match Van’s previous recordings, it was proof that he was still with us. It was the follow-up album, Blowin’ Your Mind! complete with a monstrously offensive super-psychedelic far-out-­of-sight exploding cover, that made one wonder if Them had been one big happy accident. Painfully boring—the music, the vocals, the lyrics—Blowin’ Your Mind! seemed to be made up of three sweet minutes of “Brown Eyed Girl” and thirty two minutes of the sprawling, sensation-dulling “T.B. Sheets,” a track that stood out from the rest if only in its embrace of the grotesque. The other cuts simply merged into one endless, uninspired blues run, be it “She Who Drove the Red Sports Car” or “He Ain’t Give You None,” or any of the other faceless chunks of time. This was Van Morrison free from all restrictions, of song, of melody, of verse and chorus, free from all limits, but far too early. It went back to the blues-raps of “Philosophy” and “The Story of Them,” neither of which had ever had much merit as music to begin with. Imagine a half-hour of Elvin Bishop’s “Drunk Again,” only much much worse, and one has something akin to Blowin’ Your Mind! A year and a half went by with no further sign from Van Morrison, and that appeared to be that. And yet, Van Morrison, who seemed to have been captured by Donovan’s “freedom in a lie,” has now released a unique and timeless album, called Astral Weeks. The limits and restrictions are no more in evidence than on the previous record, but the limits of the blues, as they exist for Van Morrison, have been abandoned as well. Van sings in and around what might be called a modern chamber orchestra, a group of half a dozen musicians on bass, drums, guitar, sax, and flute, with the participation of a cello or a violin at times, not smoothing out the music, but entering into the spirit of the album, a spirit of risk and experiment. The music is not rock and roll in any ordinary or hyphenated sense; rather it is music that is intelligible to us because of rock and roll, intelligible, given the complexities which hide behind the sim­plicity of intent, because of John Wesley Harding. What might seem arty at first proves to be a new place to go, a new kind of music to hear, as conductor Larry Fallon often abandons the structured comforts of melody, rhythm, and time in an attempt to create and sustain mood, a basis for Van’s own creations. Once Van establishes control of that mood the music flows toward him, rather than forcing him into a conception to which he must adhere. The musicians give Van space in which to walk without abandoning him. Astral Weeks is strong, serious stuff. It’s not really for fun, the way a good song on the car radio is for fun. Some songs, “Brown Eyed Girl” for one, are car songs no matter how one hears them—speed up, pound on the upholstery, “dance dance dance right here in the car”—that can happen anywhere, with the right music. Other songs might be different; once I heard Bob Dylan singing “Mr. Tambourine Man” on an AM car radio, and I almost ran off the road into a ditch, because that song isn’t driving music, and I went with it to another place where it belonged. Astral Weeks is serious, and it is also a profoundly intellectual album. Not in the sense that it requires some grand intelligence to “understand” it or to dig it, or in the sense that Van’s music is now something to be “figured out”—rather, it is “intellectual” in the same way that Nathaniel Hawthorne’s room, filled with moonlight, was a place and a time for the intellect and the emotions to live together. Astral Weeks has the same powers as such a room. It is pointless to discuss this album in terms of each particular track; with the exception of “Young Lovers Do,” a poor jazz-flavored cut that is uncomfortably out of place on this record, it’s all one song, very much “A Day in the Life.” Astral Weeks represents for Van Morrison the same kind of maturity that “Abraham, Martin and John” did for Dion, except that Van has so very much more to offer, as he takes his themes not from the newspaper but from strange mansions in which very few of us have ever truly lived. Not everything works; there are poor lines, like “the viaducts of your dreams,” awkward moments, shouts of “breathe in, breathe out, breathe in, breathe out,” but such moments fade very quickly, and do not intrude on the fine sections of this album, which seem very heavily influenced by Bob Dylan, influenced in a way that is as strong a tribute as was Them’s “Baby Blue.” If this record reflects John Wesley Harding, it is by capturing the spirit of that music, not by dully incorporating steel guitars and Hank Williams riffs in a frantic sense of where it’s at. Morrison has captured a sad manner of gentleness, almost a gesture of forgiveness toward life. moving into quiet announcements of situations with no solutions, “playing dominoes in drag,” until, “round that train up from Dublin/Up the sandy road… says goodbye/To Madame George,” never understood, only left behind. Mystery in the midst of an essay… I turned off the phonograph, and stepped outside into the light of the street lamps. Across the way, from another house, another place, came the hum of soft bass behind the voice of Van Morrison, a voice unheard as the bass counted out the strange matrix of Madame George, into the still of the night. Addendum: After writing this article, I went to the Avalon Ballroom in San Francisco to hear Van Morrison. Van, on acoustic guitar, performs with a stand-up bass player and a horn man who alternates between sax and flute. After a brilliant set in which he sang all of Astral Weeks, as well as three songs from his previous record, we talked about the failure of Blowin’ Your Mind! “I’ve got a tape in Belfast with all my songs on that record done the way they’re supposed to be done,” he said. “It’s good and simple, doesn’t come on heavy. ‘TB Sheets’ isn’t heavy. It’s just quiet.” The soft, seductive rhythms of Astral Weeks had surrounded “Red Sports Car” and “She Ain’t Give You None” that night, and it had made them seem, at least to this listener, as if they were new songs. “It was the producer who did it, and that record company. They had to cover it all with the big electric guitar and the drums and the rest. It all came out wrong and they released it without my consent.” He said that with a gentleness that almost nullified the fact that the album had ever existed at all. Blowin’ Your Mind! had seemed like the pointless chaos of Morrison on his own—too much freedom—but it had been, once again, the bars of someone else’s prison. The bars are down now; the freedom Van has achieved has less to do with chaos than with grace. This entry was posted in Album Reviews and tagged Astral Weeks, Greil Marcus, Rolling Stone, Van Morrison. Bookmark the permalink.